A well mixed Margarita is one of my favourite cocktails! After our holiday to the Hideaway at Royalton Riviera Cancun I loved recreating them at home which resulted in this post – The Perfect Margarita Recipe – and I’ve just about got this zesty little number down to a tee. As the football season is now upon us I’ve decided to give the traditional tipple a bit of a twist using a popular drink of football lovers alike – Lager! So if you’re not a fan of straight up beer or just prefer to drink something a little daintier when that big match is on then The Lagerita Cocktail could be for you. It also works great for a girl’s night out when the boys are down the pub or transfixed on the telly watching Jeff Stelling read out a load of numbers and yell excitedly at a screen you can’t even see – seriously i’ll never understand Soccer Saturday…ever! 2. Squeeze in the juice of one and a half limes and SHAKE IT UP! 4. 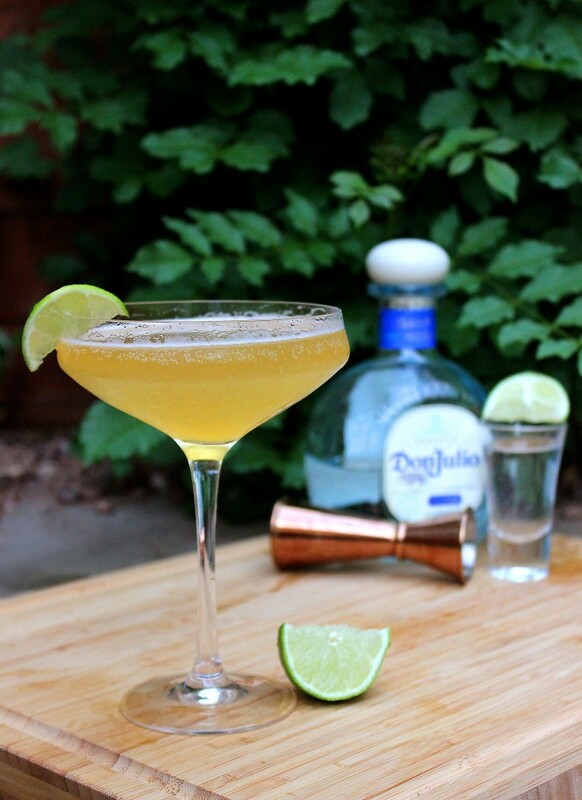 Garnish with a wedge of lime and enjoy! The result is a fizzy, zesty, super-charged lager that tastes amazing at any time of the year, football or not…although it is a great excuse to sip a beer fueled cocktail!